radKIDS® Inc. is an Educational Not for Profit (501c3) consisting of a dedicated alliance of over 5000 community-based, nationally certified and licensed instructors actively teaching children in 46 States and Canada, Mexico and Saudi Arabia. The radKIDS® program is designed to increase children’s ability to recognize and avoid potentially dangerous situations, violence and harm. 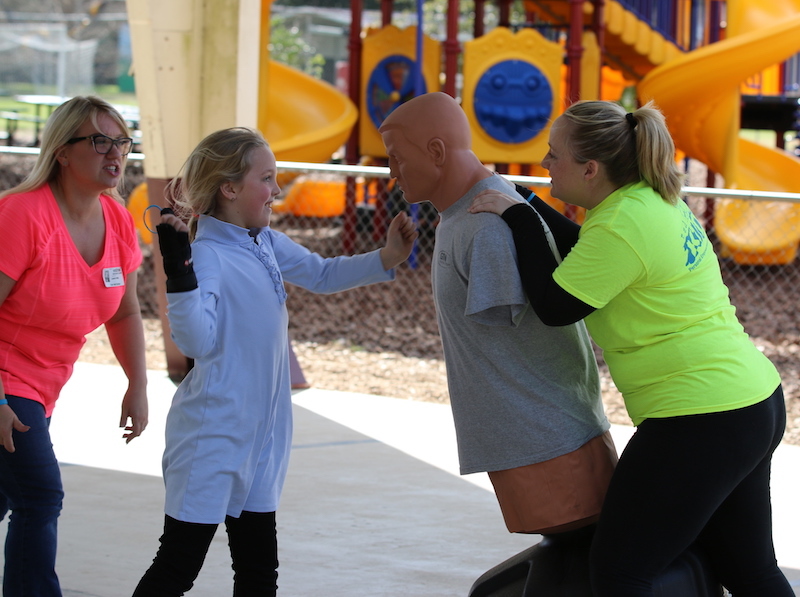 Student who participate in the radKIDS® Personal Empowerment Safety Education program are provided with information, tools and skills to better help them to protect themselves when in danger. radKIDS® centers on the development of self-esteem at every level of the educational process because children with self-confidence, personal boundaries and personal safety skills are more resilient and less likely to be victimized. Our certified instructor, Officer Susan Llewellyn's mission is to educate children with the tools, knowledge and power to recognize and avoid danger as well as to resist and protect themselves from physical abuse. radKIDS is not a sport, and specifically teaches children how "not" to fight. Please note this a FREE class but space is limited.